Greece is one of the most popular destinations for tourists from all over the world. 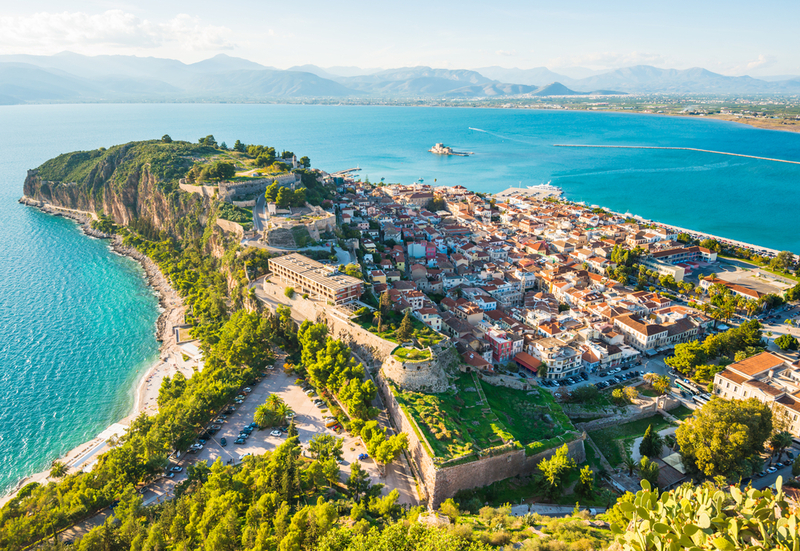 This country is chosen for recreation because of the mild Mediterranean climate, delicious national cuisine, a huge number of attractions and the crystal waters of the three seas washing Greece (Ionian, Mediterranean, and Aegean). On the territory of the state, there are plenty of opportunities for outdoor activities: ski resorts, lively megalopolises, and islands with water centers. It is the versatility of Greece that attracts millions of people every year. Each region is unique in its own way. But there is a place that is wildly popular with the Greeks themselves. This is the Peloponnese peninsula. People come here to relax with families, friends and the second half. Why? Note that this peninsula least of all suffered from the raids of enemy peoples, who sought to turn the Greek lands into their colonies. Therefore, the Peloponnese managed to preserve the culture and traditions of Hellas on the peninsula. And on the Peloponnese is incredibly beautiful nature: dense forests with green pines; beautiful beaches with golden sand; the purest air, rich in healing iodine and sea salts; and awesome sunrises and sunsets. 1. Kalavryta – the narrowest railway in the world. On it runs a train to the station Diakofto. We recommend buying a ticket in this direction in order to enjoy incredible views of the gorge, which in some places narrows so much that it seems as if you can reach out to the stone wall by hand. In the town of Diakofto, you should take a stroll through the ancient streets, to the monastery of Mega Spileo and try local dishes in one of the taverns. 2. Ancient Olympia – the place where the world-famous Olympics were held. These magnificent ancient buildings are still filled with the spirit of rivalry and an unprecedented will to win. You should definitely visit the Archaeological Museum of Olympia, whose collection includes thousands of unique exhibits. Nearby there is also a park, in which there are stone figures of the main characters of ancient Greek myths and legends. 3. Sparta is located in the heart of the Peloponnese. Walking along its ruins, approach the monument of Tsar Leonid and listen to the legend of three hundred Spartans. Don’t forget to visit a city of Mystras which is under the protection of UNESCO. Here you will see a unique collection of frescoes. 4. The 6 km Corinth Canal is an artificial engineering structure created to connect the Aegean Sea with the Ionian. Three bridges were built through it. Special attention should be given to the unique cable-stayed bridge of Rio-Antirio, which is the longest in Europe. 5. Zakynthos – an island located right off the coast of the Peloponnese. It attracts the attention of the cleanest beaches (recognized as one of the most beautiful in the world) and a huge number of attractions. On Zakynthos, there is the most famous beautiful bay Navajo – the business card of the island.